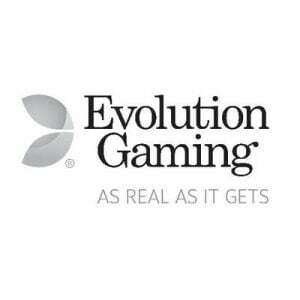 You’ve likely heard of Evolution Gaming during your online casino playtime. Chances are, you’ve played their games at some point. It’s entirely possible since Evolution Gaming is one of the most successful casino games developers around. This company has titles across many of the leading online casinos. Unlike many iGaming developers who’ve built a good name for themselves in the online casino industry, Evolution Gaming don’t produce the usual types of table games and online slots. This company specialises in creating live casino games that aim to replicate the offline experience from the comfort of your tablet, smartphone or desktop computer. Live casino games have quickly become popular amongst online gamblers. It’s hardly surprising since they put you right at the heart of the action, presenting you with high-quality video fees in real-time while getting to play your favourite casino games. So, rather than playing poker, blackjack or roulette, for instance, via the standard casino video game format, you can enjoy the action of a real wheel or real cards and shuffles, with a real dealer in real-time thanks to top-notch live streaming. It’s safe to say that Evolution Gaming is largely responsible for live casino gaming becoming as popular as it is today. From their first-class live studios, this software developer continues to push the boundaries of game quality and technology alike. While the company are certainly not the only development company creative live casino games, their focus in this arena has seen the brand grow exponentially to be regarded as the best option for casino operators who wish to give their players professional-grade live gaming experiences. Evolution Gaming was founded in 2006. Their focus remains on providing real-time live dealer casino games for computers and mobile devices. The company has offices in Malta, Italy, the UK and Latvia and they provide a live dealer solution mostly for the European market. The company has proudly received a number of certifications from renowned gambling institutions, including The Alderney Gambling Control Commission and well-known eCOGRA. All of this developer’s technologies are tested and certified by an independent body called Technical Systems Testing, one of the world’s most respected game testing auditing organisations. A year after they opened their doors, Evolution Gaming partnered with Gala Coral. Today, they provide live dealer games to some of the most well-known operators on the market, including William Hill, Party Gaming, SkyBet, 888Casino, Paddy Power, Ladbrokes and Unibet. What Does Evolution Gaming Offer Operators and Players? One of the most unique elements Evolution Gaming has to offer is that its software is customisable to meet the changing demands of online casino operators and players alike. What that means is that the software allows for customised bonus structures and payment methods. It does this by supporting two types of integration, one wallet systems and fund transfers. The company broadcasts all their live games from their studios, where they are home to a wide range of gaming suites. This, in turn, gives operators the option to offer diversity for all kinds of online casino players. What’s more, other than specific market customisation, the software brings its customers a highly technically innovative and cost-effective solution. This software developer takes a lot of pride in its reputation, and rightfully so. Evolution Gaming offer the most realistic casino experience around. No matter which game you choose to play, you’re sure to feel like you’ve stepped right into a classy Vegas resort, complete with all the glitz and glam you’d expect. You’re looked after by neatly presented dealers that effectively present to camera. Best of all, the games boast a chat functionality so you can talk to your dealer throughout your gaming experience. Some players argue that Evolution Gaming’s live dealer games are even better than a real-life casino experience, since you don’t even have to get up, get dressed or travel anywhere. You can enjoy all the same atmosphere and realism which no downsides, especially if you’ve never visited a land-based casino. As for the best titles from Evolution Gaming, you can look forward to Live Roulette, Live Baccarat and Live Blackjack. The developers also offer a Wheel of Fortune spinning type of game called Live Dream Catcher. With this game, you stand to win instant cash prizes as you spin the wheel. All of the Evolution Gaming’s live dealer games are streamed in high quality HD and, as we’ve mentioned, are independently audited and certified as fair casino games. One thing we particularly love about the games from Evolution is that they offer online casino operators the chance to let customers compete at extremely different stakes. Let’s consider a typical Blackjack Party as an example. While the numbers can naturally vary depending on the casino operator, the game allows you to bet anywhere between $/€5 and $/€1,000 per hand. It’s the type of range that covers pretty much anyone who can make it to the main table. For players who can’t get there, there’s always a feature called “bet behind” that lets you get in on the action for as little as 10% of the price. If you’d prefer to bet more, operators are more than happy to take your bets. Overall, the VIP tables usually have the most gamblers covered. Some of the tables offer humongous betting limits of $/€20,000 to $/€40,000 and more. There’s really no doubt that Evolution Gaming offers the best live gaming around. The variety of games is simply unmatched, particularly when you take into consideration the number of variations and region-specific casino tables they’ve managed to roll out in different markets. With their ability to provide games at such different and varied stake levels, this is a software developer that provides for all kinds of players, from those who like the occasional bet to high-stake gamblers used to playing their favourite games in private suits in the likes of Macau and Las Vegas. Evolution Gaming runs a highly professional operation, and that professionalism is evident in pretty much every aspect of their business. The company shows a keenness to create games to meet their client’s needs, consistently delivery products that look amazing, boast some of the best camerawork around and are just plain fun for players thanks to the engaging dealers. The number of side bets and other options at tables is also varied and a big advantage for players who like a little action on the side. We also love that you bet behind others at Evolution’s blackjack tables. These tend to be the most sought-after seats, so this feature lets more people participate than usually available. There are enough live dealer software providers out there, but Evolution Gaming stands head and shoulders above all its iGaming industry competitors. Their games are a big drawcard for many operators who offer them to their gamblers. You’d think that focusing on live dealer gaming that a mobile gaming platform would be an afterthought for Evolution Gaming, but this couldn’t be further from the truth. In fact, mobile gaming is integral to Evolution’s operations, especially given that they know how many players prefer to have fun on the move. Sure, plenty of online casinos are available on mobile platforms these days, but when you consider just how difficult is can be to ensure that live casinos function seamlessly and that the live casino feed is still secure on mobile devices, you can see what a feat it is for Evolution Gaming. Best of all, not only does the software developer’s live casino function beautifully on mobile devices, but it also retains its immersive experience and HD graphics and the user interface as been optimised across all devices. The live games offer exceptional HD-quality video streams. If internet speeds are an issue for players, there is always the option to trade to a lower video resolution, so you can still enjoy all the live action. The sound is incredible and there are a number of control options available within every game. Every live dealer is a true professional. Evolution’s dealers are obligated to attend training courses before they can work in the studios, dealing to real players. Dealers are all able to speak the language relevant to the market, too. For example, in Venezia Roulette, the dealer speaks Italian whereas in Deutsches Roulette, the speak German. We also love that Evolution’s live blackjack has the 21+3 as well as Perfect Pairs side bets that you can place alongside main bets if you want to. Other than that, there’s also the awesome Bet Behind feature that allows you to make a bet behind other gamblers. Most of Evolution’s games have the Favourite and Special Bets feature where you can save up to 15 frequently used bets. What’s more, the platform allows for multigame play, which means you can join one or more live games at a time. You can also find all the necessary house rules quickly and easily within the games. Where to for Evolution Gaming? It’s a little difficult to try and predict what Evolution Gaming will do next. That’s because they’re always so many steps ahead of the live casino industry competition. What we do for sure is that they are going to continue soaring in creativity and innovation and we have no doubt that they will deliver quality products to your favourite online casinos. If you’ve not yet played live casino games, start your experience at Evolution Gaming’s tables, it’s hard to find a better experience.